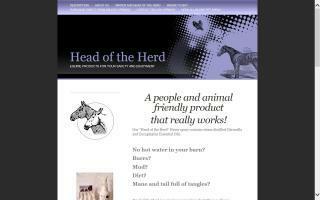 Horse Care Products Directory - O Horse! 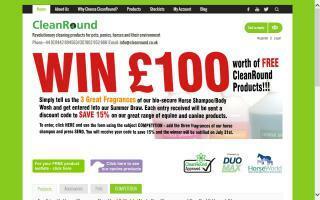 Get the best horse wash services in town from CleanRound.co.uk. Take care of your equines to keep them healthy. Find equine infection control to ward off diseases and stable cleaning and equine rug wash to provide a clean environment for your horses. Detox your horse grooming routine with earth friendly products so delicious, you'll want to borrow them from your horse! 100% free of nasty chemicals, silicones & parabens. Only 100% naturally derived human grade & organic ingredients. Your Horse. Your Earth. Your Choice. Equiderma - "The World's Greatest Equine Products"
I'm Bethany Padgett, CEO, founder and formulator of Equiderma Products. I've been a horse woman and devoted to animals all of my life. I used to own and operate a respected equestrian center for dressage and hunter/jumper in central Florida, and during that time founded a 501c3 rescue for all animals in need. That was twenty years ago and where this amazing journey began. Every day, I devoted myself to healing the animals in my care. Over time, I became more and more frustrated with the grooming and skin care products available to me. Like many of you can most likely relate, I had a medicine cabinet filled with products that failed to deliver on their claims. Meanwhile, there was an animal that continued to suffer from the lack. With so many animals relying on me, I finally had enough. Necessity truly was the mother of invention, and I decided to make it my life's mission to create products that performed quickly, effectively, predictably, and most of all, painlessly. Equiderma Skin Lotion was my first product, born for my own personal use in my barns, but as fate would have it, there was a business there. It quickly became the go to solution at our rescue and equestrian center, and you could often hear voices ringing out "Hey Bethany, where's your blue stuff!" Since that time, Equiderma has grown in product line and ethos, and I've found my life's purpose and passion along the way. I am now able to help animals on a much broader scale. Words cannot fully express how rewarding that is. 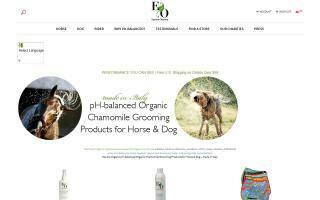 The onus for each product was a particular animal in my care. I will always remember them and am grateful for this beautiful business they helped me create. Each and every one of our products has been carefully and intelligently formulated to deliver superior performance for a specific purpose. 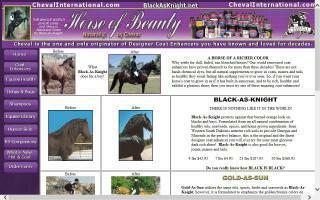 I believe they are the absolute best equine grooming products on the market. Period. Fly repellant, deodorizer, and waterless wash with no insecticides! We offer a horse spray with NO insecticides, NO pesticides, and NO silicone! The natural based product, offered in a big 900ml spray bottle and a 60ml "Trail Size" spray bottle, contains essential oils... steam distilled eucalyptus and citronella and other natural based components. Don't keep spraying your horse with insecticide! Natural emollients improve coat luster, making your horse positively shine, while making it easier for you to keep your horse clean and pest free. Order by email. Contact us for current prices. 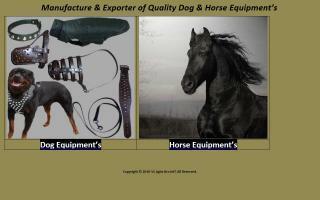 At Holistic Horse Care, we offer products that help you to keep your horse healthy in the natural way. 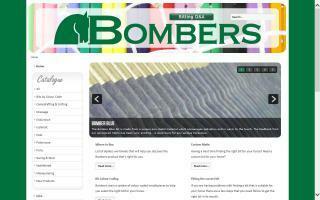 We are the distributor for our products in Asia.